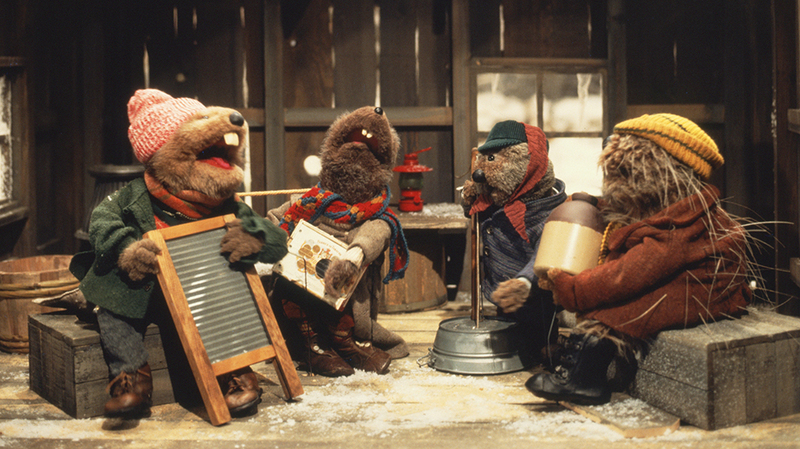 Emmet Otter’s Jug-Band Christmas. It’s as though they said “Let’s take everything that’s good about the 1970s and put it in a Christmas special with muppets.” A perfect entertainment in every way. 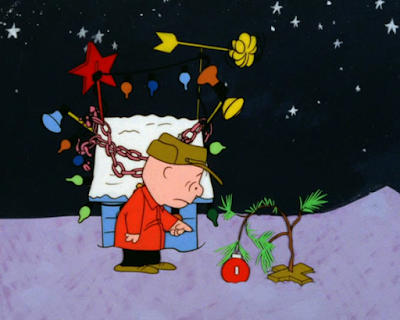 Probably the 1960s: Charlie Brown Christmas, How the Grinch Stole Christmas, Rudolph. Most of the stuff I grew up watching (and connecting strongest to) in the 70s and 80s was made in the 60s. Appetizer: A Charlie Brown Christmas. 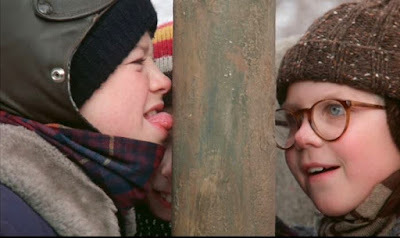 Main course: A Christmas Story. Dessert: Emmet Otter’s Jug-Band Christmas. Digestif: Junky’s Christmas. Midnight snack: The Man Who Came to Dinner. Antacid relief: Franz Kafka’s It’s a Wonderful Life. New Year’s Day hangover remedy: “Night of the Meek” Twilight Zone episode. A Love Boat adaptation of the Poseidon Adventure, for obvious reasons, but with a low-grade disaster, or the threat of disaster. Instead of the Pacific Princess sinking, the episode is about the captain, crew and guests riding out a “surprise” Christmas typhoon. Everybody on board has to scrap and re-imagine their "perfect" Christmas plans. Also, there should be a Cold-War subplot where one of the passengers—a famous Russian author, played semi-convincingly by Sally Kellerman—defects to America after being inspired by the Christmas spirit of everyone around her on the cruise. No I have NOT thought about this before, why do you ask? A Charlie Brown Christmas would be a great candidate, I think, because it is so complex and layered. It expresses so much about humanity, emotions, belief, America, the 1960s, Christmas, and a whole host of other themes, all in 20-something minutes. There are a couple of Love Boat Christmas eps, but I love your storyline! Made me laugh out loud at "played semi-convincingly by Sally Kellerman." I suggested A Very Aaron Spelling Christmas; perhaps our two shows can be a double feature. Also loved the addition of antacid relief and hangover remedy. One question Dominic - does Charo make an appearance? And possibly a glitzy number from the Love Boat Mermaids? Hahahaha! I'm with everyone else on this--LOVE your idea for another holiday episode of the Love Boat. It would be so great to see the cast sitting on top of the flipped over Pacific Princess, waving rescue/emergency flags, sharing warm Christmas memories of the past! Hahaha. This should get made. Thanks for participating. Love your menu, Dominic, especially The Man Who Came to Dinner.and Night of the Meek.